Unlock the 5 best cars under 4 lakhs in India. Know the price, mileage and other details of these India’s most affordable cars. Over the last few years, Indian automotive industry has seen some drastic changes. One highlight of this movement was when the major car makers decided to introduce their offerings at aggressively competitive pricing. Consumers now have a wide range of new cars to select from, which come with a host of features available at their disposal for the price of a decent pre-owned car. So, here are our recommendations for top 5 cars which you can buy under 4 lakhs. Designed in Italy and revered globally as the next coming of people’s car, the only reason the second entry of world-renowned Tata Motors is not topping our charts right away is because Tata Nano is often considered a poor man’s commuter, although it is produced by an automaker that owns some of the most elite and premium makes. 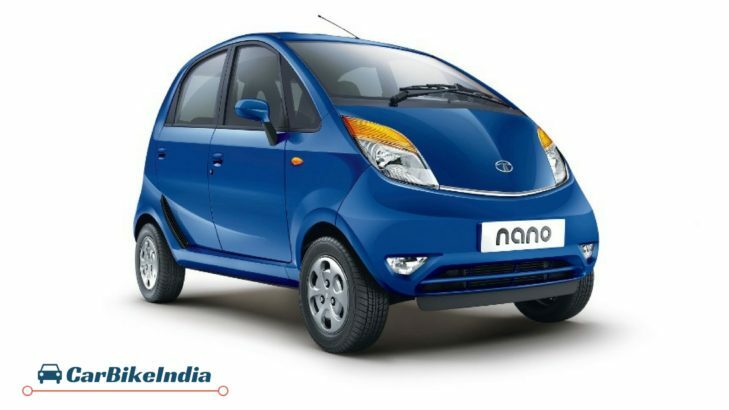 Nevertheless, we feel with its updated styling and the fact that the top-end models are also available with automatic transmissions, helps Tata Nano fair well as a city car. 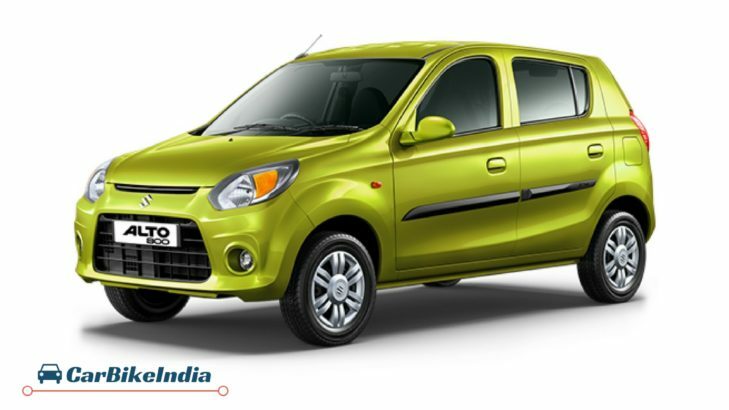 With revised styling, skinner headlamps and a larger air intake, the Maruti Alto 800 facelift is one of the most popular hatchbacks in India. You can get a top-of-the-line variant for under 4 lakhs, which will come with front-power windows, fabric seats and central locking. Not to mention the popularity of Maruti will make sure that the car will retain its value rather well in terms of depreciation. With 185 mm of ground clearance, features like keyless entry and a 68 bhp, 1.0-litre top-end Gold variant priced at Rs. 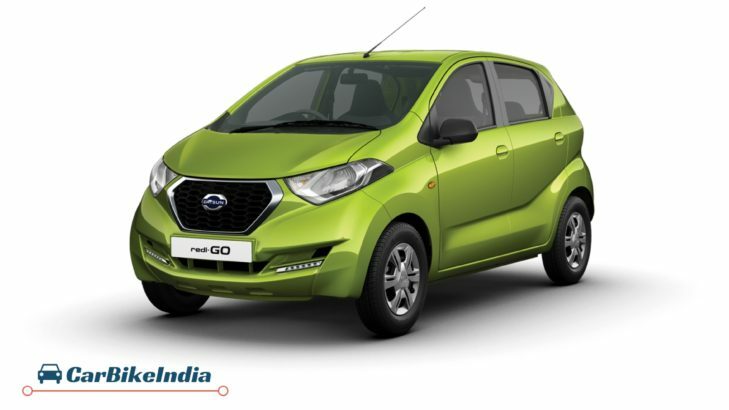 3.78 lakhs (Ex-showroom, New Delhi), there is no surprise that Datsun Redi-Go made its way into our top three candidates for this list. 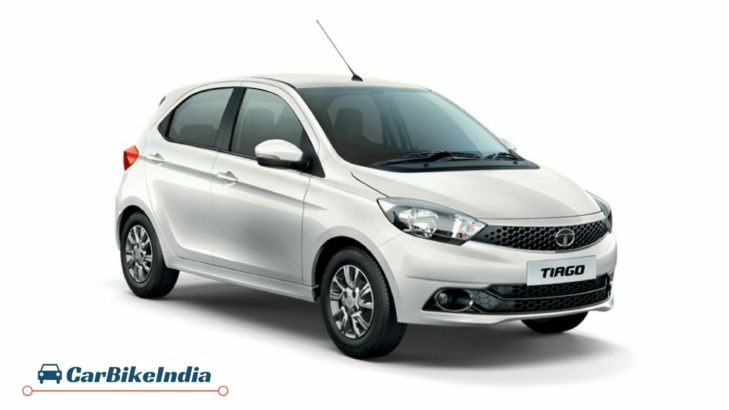 Laden with Harmen designed music system and one of the most intricate body styling the world has ever seen, there is no reason why one would not pick Tata Tiago as the car of choice for under 4 lakhs. One can select from 3 variants, which are priced under 4 lakh. What also impresses us is that the occupants have the option of sharing their music playlist wirelessly. The rev-happy petrol and torquey diesel engines also help make a solid case for our beloved Indian hatchback. No prizes for guessing, topping our list is the crowd favourite, Renault Kwid. The futuristic SUV-esque design, coupled with premium features like digital instrument cluster and touchscreen infotainment system, makes Kwid one of the most desired little hatchbacks in the country. Not to mention the competitive pricing also helps it be one of our most desired cars under the Rs. 4 lakh bracket. 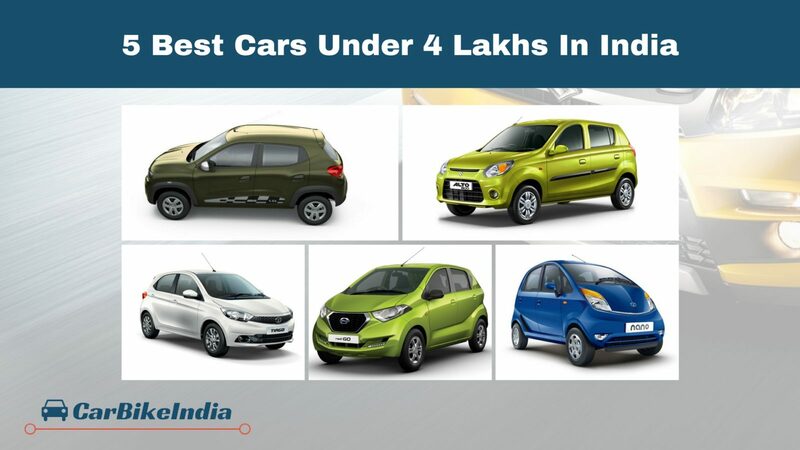 Hope you like this collection of 5 best cars under 4 lakhs in India. Stay tuned for more such interesting updates.